Hackers managed to steal 523 million NEM coins and possibly US$123 worth of Ripple coins from Coincheck's online hot wallet. The Japanese exchange assured its affected customers that the money will be reimbursed upon the completion of the police investigations. 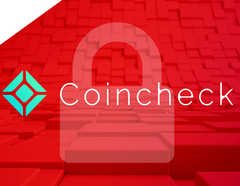 Coincheck announced that more than US$500 million worth of NEM cryptocoins got hacked out of the online exchange last Friday. NEM is very popular in the Eastern Asian countries, with a total market cap of US$8.49 billion. The Japanese exchange assured its 260,000 affected customers that it will refund the stolen money using its own capital, while the exact timing of the reimbursement remains to be announced at a later date, due to ongoing investigations. The cryptocurrency revolution is said to decentralize the financial power from large banking corporations and create new wealth for the average person, but all the security problems inherent to the digital medium it relies on may not make this a smooth ride at all. Social and political factors are some of the sources that can lead to fear, uncertainty and doubt in the crypto world, and, while these are external forces that no one can accurately predict, all the security breaches that lead to stolen currency from online exchanges can be prevented and mitigated beforehand through improved measures. The last six months have seen quite a few “cryptoheists” as large sums of money got stolen from respectable exchanges or mining sites, however, in spite of all these problems, the crypto market cap continued to rise. It is estimated that a total of 523 million NEM coins were hacked, and Coincheck has already halted all related transactions. The exchange halted all Ripple transactions as well, and it is suspected that an additional US$123 million worth of XRP coins was hacked at the same time. The exact circumstances of the incident have not yet been revealed, but, as with previous hacks, the stolen coins were apparently kept in an always online “hot wallet” on the exchange itself, instead of being deposited in a cold storage offline wallet. NEM Foundation president Lon Wong confirmed the hack and called the incident “the biggest theft in the history of the world”. For comparison, the Mt. Gox incident from early 2014 saw US$460 million worth (back then) of Bitcoins stolen, but the current total market cap of all cryptocoins increased from US$14 billion to US$500 billion ever since. Bitcoin did not register any negative price fluctuations since this Friday, so it looks like the Coincheck incident is nowhere near as severe as the Mt. Gox one, when BTC lost 40% of its value. The stolen NEM and Ripple coins can be tracked through the blockchain ledger, meaning that the stolen coins could eventually be recouped, unless the hackers never intend to exchange the coins to fiat currency. The incident is still pending police investigations and more information will be released soon.